HARKER HEIGHTS, TX — The Facebook page Central Texas Lost and Found Pets (CTLAFP) is working hard each day to keep stray pets out of the shelter. It works by Facebook users finding stray pets around their area and posting them to the page letting them know the pet is safe. They can either choose to keep the pet until the owner is found or if not claimed can find a new home for it. Once someone posts, the first thing the administrators of the page do is post tips for what to do when you find a dog. "Which is basically our top three tips for finding a dog is first and foremost get it scanned. Any vet or local shelter will do that absolutely for free," Jenny Luper said, Admin of CTLAFP. They also advise you to tell the local or closest shelter where you found the pet. If the owner walks in the shelter, they will have it on file that you have the pet. Lastly, hang fliers everywhere. Most of their lost pets are returned home because of a flier that was hung. CTLAFP has returned more than 1,500 pets already this year. Thanks to the ones who let these pets in their home, they're able to keep all those pets out of the shelter. "Sometimes if they can get a hold of the stray pets and get find their owners it eliminates the shelter process altogether. 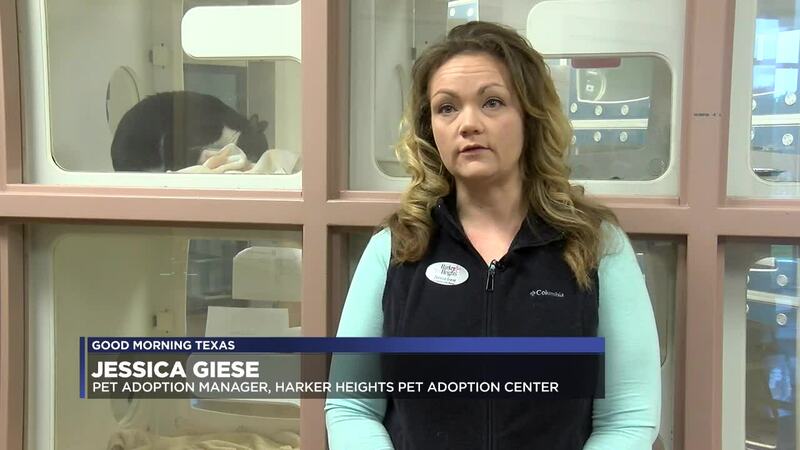 As long as they get back to their original family that is what we are thankful for," said Jessica Giese, Harker Heights Pet Adoption Center. Luper says once someone posts on the page and is able to reunite a pet with their family, its a feeling you want to experience again and again. "Watching them make that connection and be able to get a pet home is [that] they just get addicted to it, they want to help all the time and that's what the world needs right now for sure." Luper said about group members who find and care for stray pets. Everyone who houses the pets are volunteers, they wouldn't be able to help so many pets return home and even find a new one. There are almost 40,000 members on the page, although not all can house a pet they find, everyone is always willing to help in some way. "Volunteers grow every day, everybody wants to help. Just strangers want to help each other and its amazing to see," Luper said. Luper said the amount of stray dogs increase during the Fourth of July and New Year's Eve. This is because the fireworks that are set off can scare any pet and they won't understand where it's coming from. If your pet isn't properly confined, it will want to run away from the noise. The best thing to remember is if you have a pet and don't want it wandering off, make sure you don't leave it outside without the proper fence to keep the animal in a certain area. Another thing to remember is to get your pet micro-chipped, it can make finding your lost pet a lot easier. CTLAFP is hosting an event in Marlin Saturday, April 20 at Bucksnort Saloon from 4 p.m. to 6:30 p.m. Microchipping will cost between $10-$12 depending on the size of your pet and it will need to have all its shots and vaccines. There will also be a free microchip event in Waco Saturday, April 27 at Orscheln Farm & Home from 11 a.m. to 2 p.m.
For more information on future events and Central Texas Lost and Found Pets visit their Facebook page . Below are the statistics from CTLAFP on how many dogs they rescued, adopted and brought home safe in the last two years.